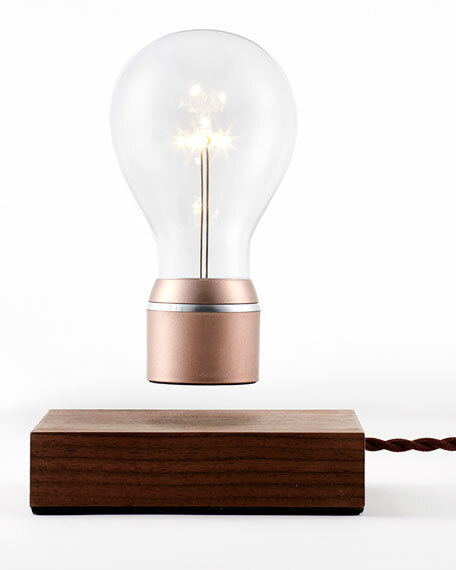 Levitating light which hovers by magnetic levitation and is powered through the air. 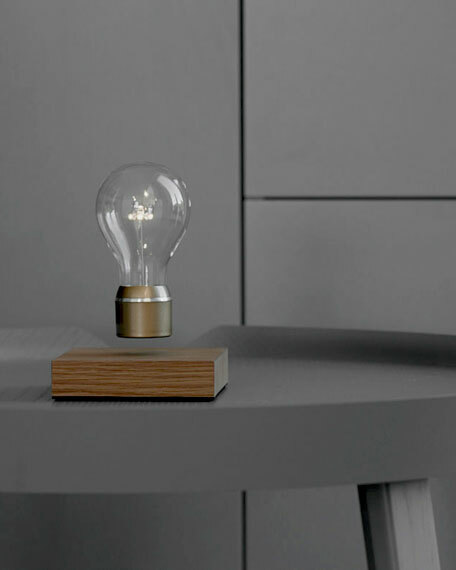 Walnut base, light bulb with copper cap, and AC adapter. For in-store inquiries, use sku #2108619.